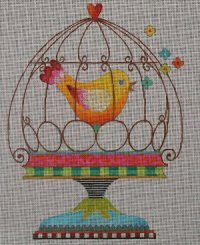 Knitting Crochet and Needlepoint Classes! Sit back and get comfortable we have so much going on! Colors Of Praise Trunk Show. Here is the link if you can't get in. 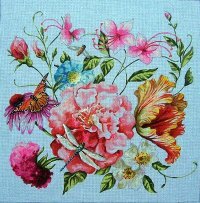 These canvases have been discontinued so you need to let us know asap if you would like to take the class. If you can't come to the class, you can do the class as an "outpatient". The class comes with a complete stitch guide. Margaret Williams is doing a Knitting 101 class. Never knitted before? 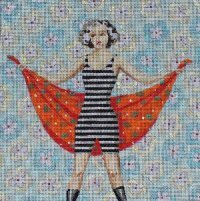 Haven't picked up your needles in a long time and want to get started? 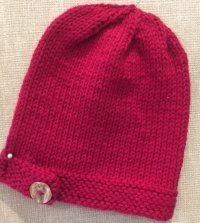 In this 3 hour class, participants will learn all the skills needed to complete a preemie hat and leave the class ready to knit an identical full-sized hat! 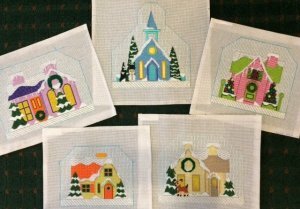 Instruction and pattern $35.00 Class is limited to 6. If we fill up we will schedule another class. Visit the shop in advance to sign up and purchase materials. We are dipping our toes into the world of Crochet. Come in before the class to pay for class and purchase materials. Never learned to crochet? Want to try again? 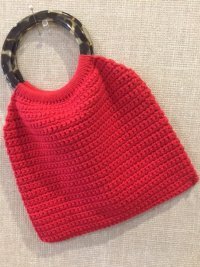 Participants in this 3 hour class will learn the basics of crochet and all the skills needed to complete a useful and pretty handbag. 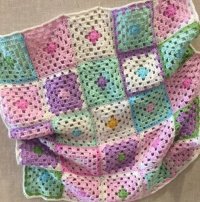 If you want to build on your newly acquired crochet skills, join us for this class. Participants will learn the basics of the "Granny Square." Please join us for any or all of these great classes. We hope to see you soon!